AAA Carolinas emergency roadside calls due to dead batteries increase significantly in cold weather. As the temperature drops, so does your car battery’s strength. To avoid having to call for help, get your battery tested before it gets cold. 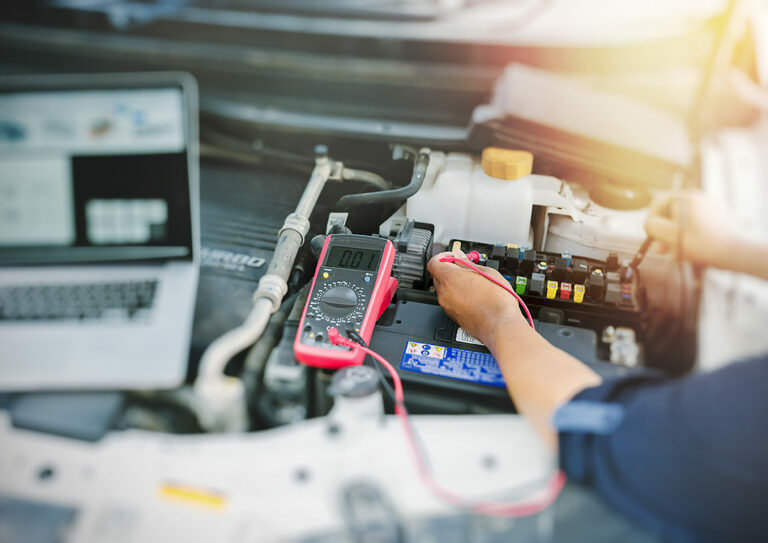 AAA Car Care offers free battery and charging system checks which will ensure the battery and electrical system is prepared for lower temperatures. Not the battery, of course, but the lights, heater, and wipers. If you switch your engine off but leave one of these items on, there will be an unnecessary drain on your battery. Love your heated seats and heated screens? Enjoy them but not for longer than you have to. They use a lot of battery power. Also, keep in mind that iPods, chargers and other electronic devices may drain the battery if left connected. If you have have a garage in which to park, use it. You might need to rearrange the rest of the things accumulating in the space, but keeping your car warm will help extend the life of your battery. Make an appointment at a AAA Car Care location to take advantage of the free battery and charging system checks. We will provide you with a printout of the findings to ensure you know where your battery stands. Car batteries last on average 3-5 years, and extreme temperature spikes diminish that lifespan. If your battery is in bad health we can help you with one of our AAA Branded Batteries that include an industry leading 6 year warranty – first 3 years full replacement, second 3 years prorated replacement. If you didn’t get your battery checked before it was too late, AAA Mobile Battery can come to you to test your battery and install a new one if need be. The service is available in limited areas though, so we highly recommend taking preventative action.